Just received word that at least one of my pieces of silk was juried into the Valley Arts “Moody Blues” gallery show, which will be running January 18 through March 7 at the Valley Art Center, located at 155 Bell Street in Chagrin Falls. 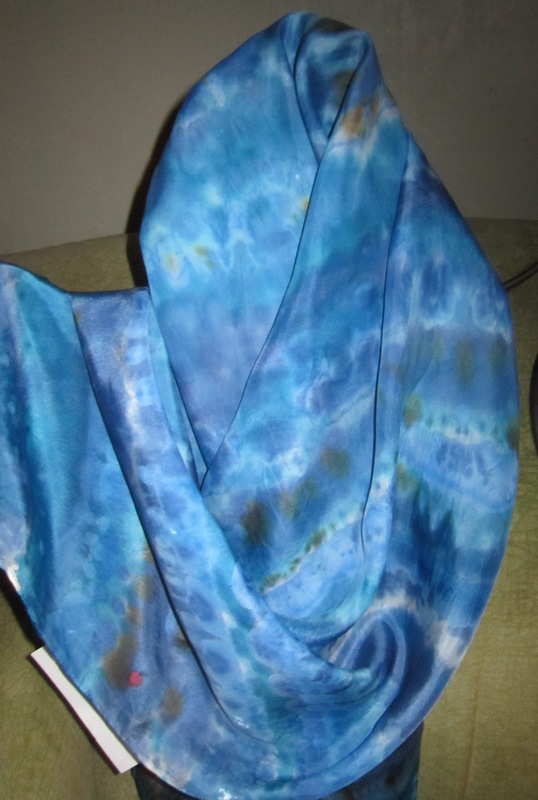 So far, the piece that was juried is called The Storm, a hand dyed shibori style silk scarf in shades of blue, meant to resemble the angry waves of the sea. This is a traditional Kumo Shibori pattern.